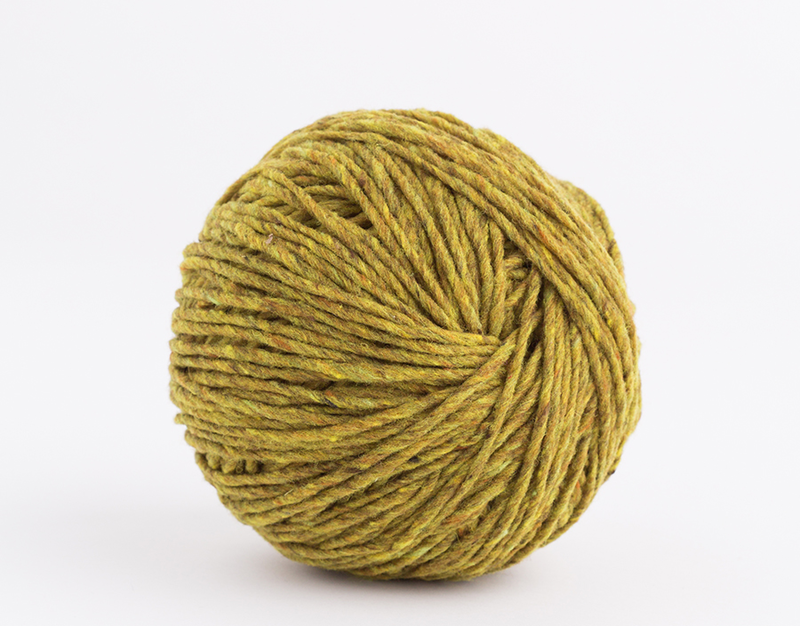 I want to take a moment to obsess over Brooklyn Tweed’s Quarry. I love Brooklyn Tweed. I love the texture, the colors, how airy the yarn is, basically everything. Every time I wander into a yarn shop I am drawn to the Brooklyn Tweed section. I never buy their yarn for projects though. I tried once when I was just beginning a few years ago and I kept pulling to hard and breaking my working strand. This was would probably always be frustrating, but at the time I found it discouraging and abandoned the project. Since then I have stayed away like the chicken I am. Which is why I am really enjoying the opportunity to work with Brooklyn Tweed yarn again. It’s not so scary! Plus this new color Citrine is absolutely gorgeous!